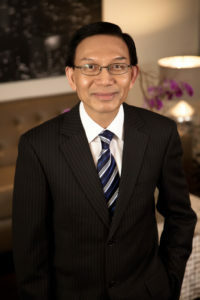 Raymond Liu is the senior partner of Liu & Associates LLP. Raymond established Raymond C.S. Liu Professional Corporation, the predecessor of Liu & Associates, in 1983. In the beginning of his career, he articled with a medium sized firm in Edmonton, obtaining his CA designation in 1982. In 1983, he joined a national retail chain store as a controller, and became the Vice President of Finance for the company in 1985. Raymond left the company in 1990 to start working in public practice full time. As the senior partner of Liu & Associates LLP, Raymond oversees all aspects of the practice and assists clients in the areas of corporate reorganizations, financial planning and consulting, taxation and compliance and all corporate year end requirements. Raymond graduated from the University of Alberta, with a Bachelors of Commerce, which lead him to obtaining his CMA and then CA designations. He has been a long standing Associate member of the Hong Kong Institute of Certified Public Accountants. Among his many certifications, he is a Registered Financial Planner and a Certified Financial Planner. Raymond completed level I and II of the In-Depth Tax Program of the Canadian Institute of Chartered Accountants. Raymond has acted as a director of both the Entrepreneurial Chartered Accountants of Edmonton Society, and the Institute of Advanced Financial Planners. He is a regular attendee at the CA/CRA Income Tax Roundtable, and has participated in various focus groups with the Institute of Chartered Accountants of Alberta and the Canadian Institute of Chartered Accountants. Raymond is a dad to 3 girls, one boy, an English Bulldog named Barney, and is also an honorary uncle to 10 great kids in St. Albert. He and his wife Patricia M. Cheung-Liu, CA, also a member of the firm, have been working together since 1998.